Vice President of Partner Sales for Latin America, Arcserve, LLC. 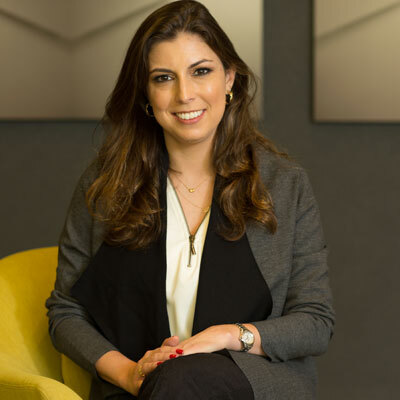 As the vice president of Latin America for Arcserve, Daniela Costa has a critical role in the leadership, continuity and growth of the company's brand throughout the region. After the spin out of Arcserve from CA Technologies as an independent company in 2014, Daniela continued to grow her relationships with partners and customers during and after the entire process. She also achieved very important milestones with her team, such as the positioning of the new Arcserve brand, the launch of Arcserve Unified Data Protection in traditional software licensing, service and appliance models, and the acquisitions and subsequent rollouts of UDP Archiving and UDP Cloud Direct, which were recently announced. She has also achieved significant growth in key countries, both in revenue and coverage. Daniela has extensive experience in management, sales, channel marketing, and distribution channels, and worked 16 years at CA Technologies, where she started her market development for Arcserve solutions with the channels. Daniela graduated in Business Administration at FundaÃ§Ã£o Armando ÃÅlvares Penteado and holds an MBA in Business Administration from FundaÃ§Ã£o Getulio Vargas, both universities in Brazil. The last year has been one of the most exciting times in Arcserve history in our technology, results and leadership. Because of the rapid drumbeat of product launches and promotions, one of my key goals was to ensure effective and timely message distribution to all partners and customers. When working with channels, we must be exceptional in delivering our message and preparing our partners to present our technology, licensing models and services. We launched Arcserve Now, an ioS and Android app that gives partners exclusive real-time access to Arcserve's latest news on licensing models, success cases and promotions. Arcserve Now has been a great success, and we will continue innovating and improving our tools for our partners. In these 20 years I've been in the channel, I've learned that partners sell what they know, from whom they trust, and from companies they believe in, today and in the future because it assures their organizational continuity. Note: in SÃ£o Paulo, Brazil's richest city, the survival rate of a company is 76.3% - 1 in 5 companies shut down before completing their second anniversary. To survive, businesses rely on vendors that have both short and long-term strategies to grow in country. Arcserve's been a channel only business in Latin America for over 20 years. We strive to be partners' first choice in data protection & business continuity and this is also my #1 goal. We're investing to offer the best combination of technology, business models (this includes DRaaS/BaaS with UDP Cloud Direct) and programs to motivate partners to work with Arcserve. It's important to say that 97% of our partners that participated in the last survey stated that Arcserve is either well, very or extremely well positioned versus competition and this shows we are in the right direction. 2018 marks my 20th anniversary with the company. This is a result of a lot of dedication, hard work, resilience, partnerships and, above all, about being passionate about what I do and this, above any personal awards I have received, is what I consider the most. I'm really proud about all I have achieved, personally and professionally and I keep working to be the best I can be, every day, to my partners, team and of course my family including my 10 year old triplets. I look up to many IT women professionals, but Tracy Balent, my former manager at CA Technologies, gave me the most important opportunity in my career - to run Latin America. Even more special, she promoted me right after I came back from maternity leave with triplets. When I thought my career had stalled, without any prejudice and trust to quickly ramp back up and manage a very challenging scenario, she gave me the opportunity I was waiting for. She's also an extremely trustworthy professional. Companies need more managers that, beyond theories, regularly practice woman empowerment. I got here living my life by my dad's advice "You will be the best you can be." For me this always meant that it all depended on me, which is not 100% true, so I would tweak a bit to say that "it all starts with you, with your attitude towards life and people you meet along the way, so be the best you can be and never ever quit." There are many, as I am super demanding with myself. And being in sales and management, there's everyday learning. As a professional in the IT market, sometimes I miss having a more technical background, but I was born to be a sales rep. Personally I would love to master at cooking as I do not cook well; a psychology degree would also help me go through future teen years with my triplets. Option B by Sheryl Sandberg. I love it because I always look up to courageous people, specifically women. It's never easy to share such a personal challenging moment, learning how she is overcoming it and how that relates to challenging moments you are living. This book wasn't only helpful - it was comforting and has made me stronger.